Chrichton's World: Review Paper Towns (2015): Nice soundtrack. The film itself is OK. But not underrated at all. Much ado about nothing! 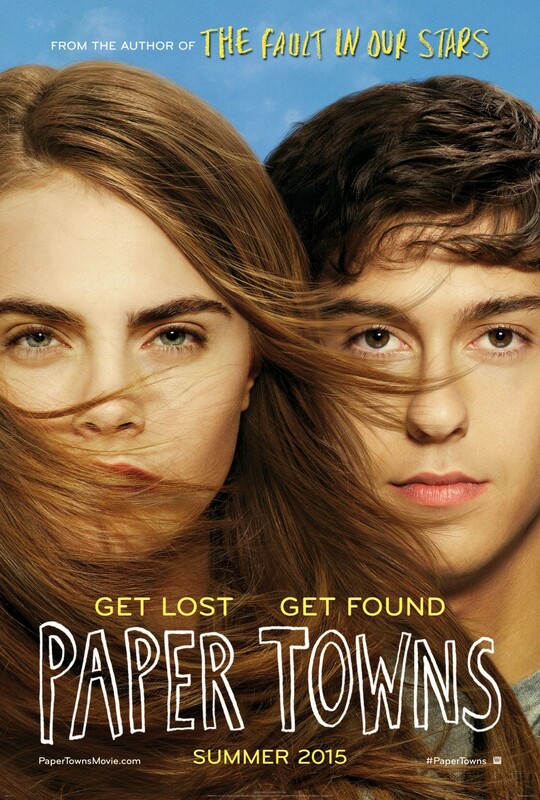 Review Paper Towns (2015): Nice soundtrack. The film itself is OK. But not underrated at all. Much ado about nothing! Paper Towns is a title that keeps popping up in the lists of most underrated films of 2015. Naturally I was intrigued and had to find out for myself what makes this film so special. Well, I do understand one of the reasons why people are so hyped about it since it is based on the book written by John Green (The Fault in Our Stars). And supposedly he is a good storyteller. Paper Towns does start out very interesting but soon plummets and only here and there has some nice moments that redeem the film and the story. Other than that this tale is incredibly empty. The cast is excellent. Most of the characters are very likable. Except Margo. I have problems containing myself and not use curse words but don't worry I will refrain myself from insults. Someone like her would never ever be a friend. For one thing she is utterly selfish. Like she says herself she hides it behind the façade of the popular and adventurous girl who gives back as much as she receives. But in truth she is none of those things. She is a girl looking for something and my guess will never find it. Main character Quentin has been in love with her (at least that is what he is convinced off) since he laid his eyes on her the first time he saw her. Even when they had drifted apart his feelings about her had remained the same. So many years they had been out of touch until one night she drops into his room requesting to give him a ride. Because she needs a car and him to drive it. She apparently is on a quest to get revenge on the boyfriend who cheated on her and others who knew about it. So far this is the part where everyone in the audience will feel sympathy towards her. But then next day she is gone. This is not the first time she ran away from home. And every time she did this she left clues for people who she deemed worthy. Now it's Quentin who has been given the clues and he feels compelled to find her. Basically the remainder of the film is him trying to find her so that he and her can be happy. It is during this that the film loses steam and drags on far too long. Nothing remotely interesting happens except from some nice moments between Q his best and new friends. These interactions for me were the most fun and entertaining since I understood where they were coming from. His friends really do care about him and support him as much as they can until they realize that Q's hunt for Margo might not be a prudent one. I won't spoil how it ends but to be frank it's one that should be pretty obvious if you can look past the mysticism and the so called beautiful mystery that is Margo. In the end this film failed to make an impact in any shape or form since the film is much ado about nothing. Thankfully though the film is blessed with a wonderful soundtrack that will distract you from it's emptiness.